The expansion of the Performing Arts Department supports the demand for popular and expanding music and music technology course offerings. 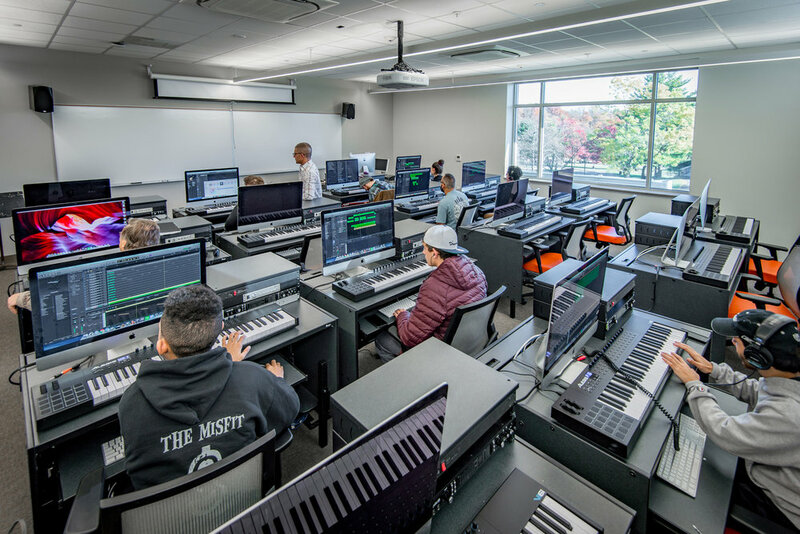 County College of Morris is now New Jersey’s premier community college for music technology. 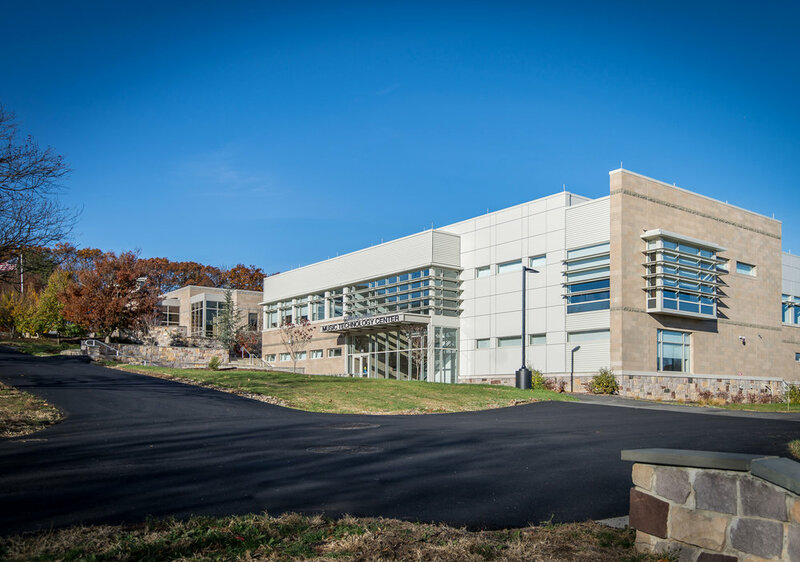 Appended to the Dragonetti Auditorium, The Edward J. Yaw Music Technology Center consolidates fragmented Performing Art functions. In doing so, existing space can be dedicated to other academic use. The addition has provided an expanded scene shop, restrooms and dressing rooms, while addressing the lack of access to the auditorium and student center. 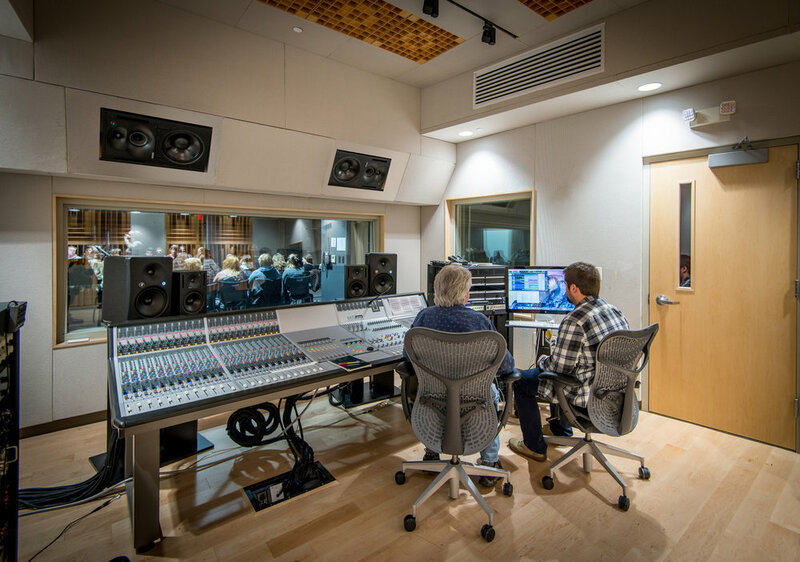 A new Music Technology Center enhances the presence and image of the Performing Arts Department and its programs by providing a state-of-the-art environment for arts-based study, performance and collaboration. The facility accommodates a “Black Box” experimental theater lab, multiple recording and teaching studios, music technology labs, music practice and instruction spaces, as well as an outdoor entry terrace and amphitheater. 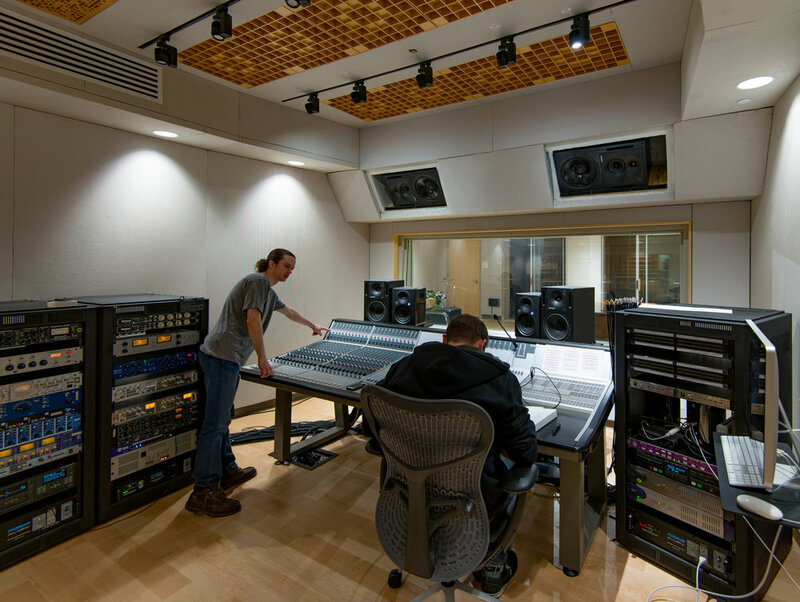 The expanded and acoustically-isolated student practice rooms are a new resource for CCM students, while the state-of-the-art electronic music lab and recording studios also vastly improve the facilities and capabilities of the music students. Although the square footage assignments identified by the college at the onset of the project were significantly less than that required for proper functionality, NK urged the college to consider up-sizing some spaces as a way of providing future functional flexibility. 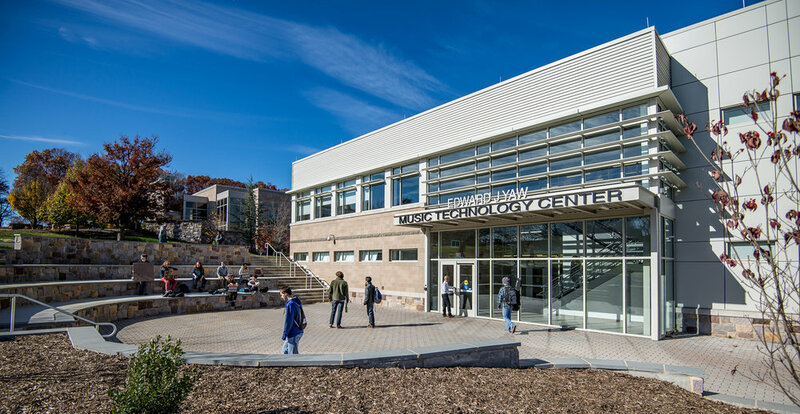 While these did require an increase in project cost, they resulted in an improved final product and a building that blends well with existing architecture, a building the College is truly proud of.